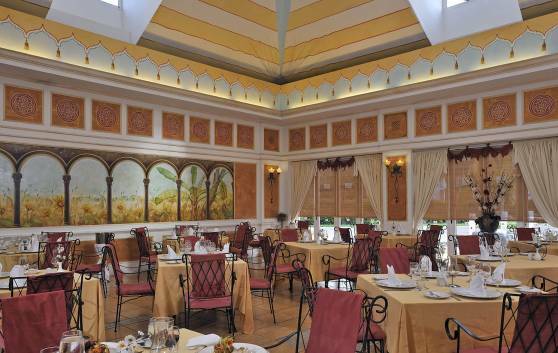 Decorated with frescos evoking a Venetian palace and classical music accompaniment, La Gondola is truly a romantic place. Reservation required for dinner. Casual wear. 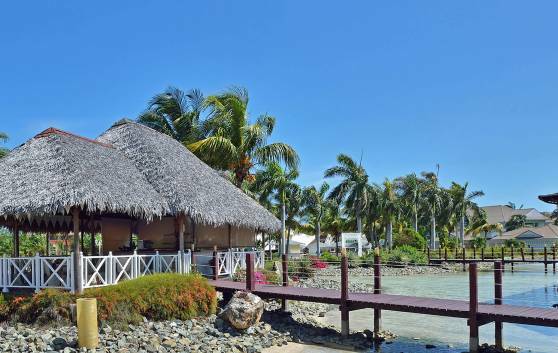 One of the most popular restaurants in the hotel, where guests apart from watching the majestic sunset, can also listen to the sound of the waves as they hit the shore. Delicious food, excellent service and good music! Ideal for gala dinners or for incentive groups farewell parties. 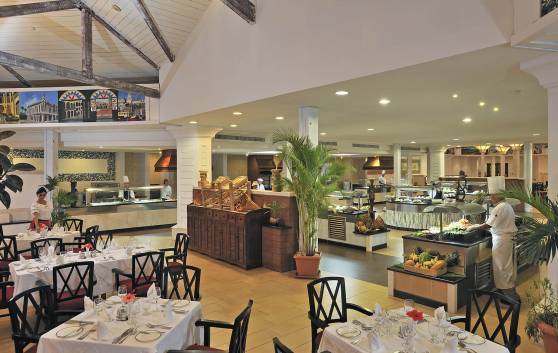 The Bistro can serve you the best International food washed down with well-known wines, because this culinary art, characterised by its variety and refinement, is also popular in Cuba. 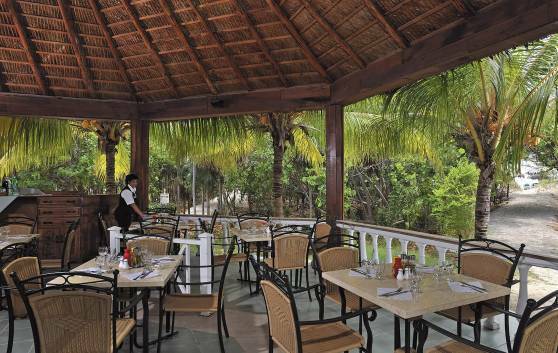 This a la carte restaurant affords amazing views of the water mirrors and hotel gardens. Beautifully decorated with bright pictures of contemporary Cuban society. Exquisite taste in the presentation of its wide assortment of vegetables, varieties of cheese, salads, sausages, soups, meats, breads and pastries. 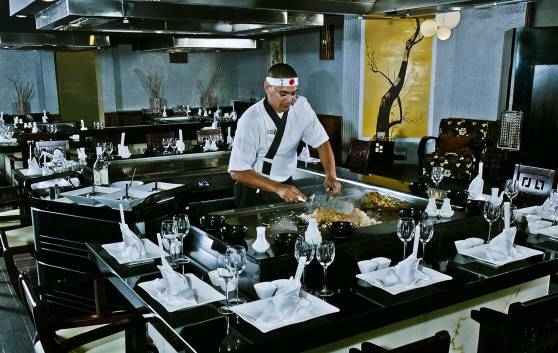 The Sakura brand is associated with the Meliá Cuba restaurants specialising in Japanese cuisine. The chefs impress our guests with their skills in tepanyaki, a technique typical of this ancient culinary art. Open for dinner only, it is noted for its attractive setting. 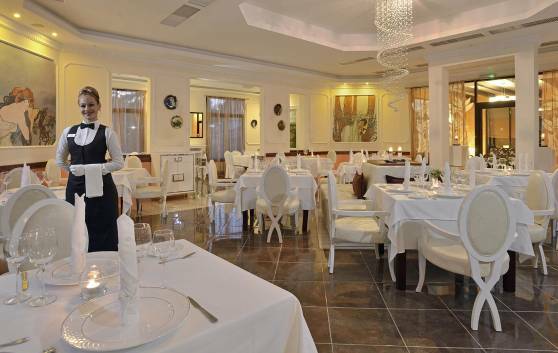 Tocororo is an excellent dining offer with a wide assortment of exquisite dishes served in an ambience of refinement and classical music. Reservation required. Casual wear. At the Arrecife aqua bar, guests can enjoy their favorite cocktail or beverage without having to leave the refreshing pool water for a second! 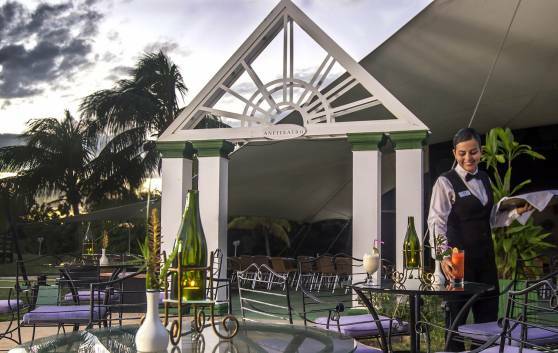 Bar Caney, just a few steps from the lobby, has a rural ambience that invites you to try the most popular Cuban drinks as the evening turns into a spectacular event. 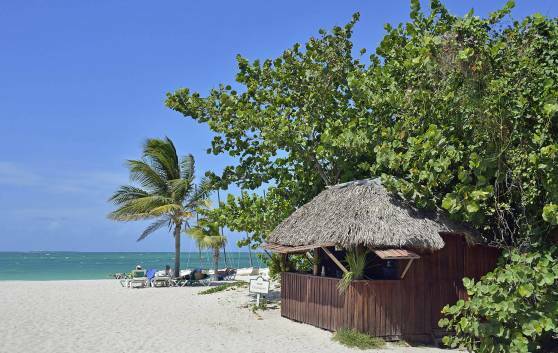 Sun, sand, sea, palm trees and two bars to enjoy the magnificent views of the landscape while holding a refreshing drink. 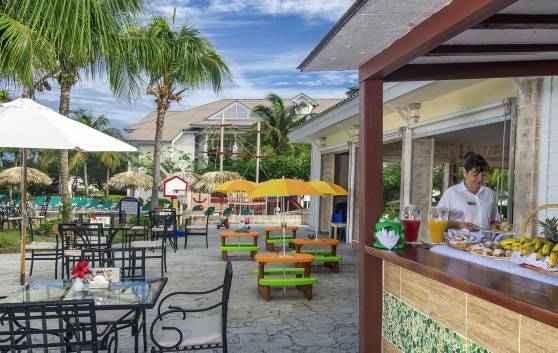 This charming restaurant offers a wide array of refreshing tropical cocktails and beverages. Famous for its excellent service and nostalgic piano music at dusk. At night, when the variety theatre opens its doors, this terrace bar becomes the perfect companion for music, dancing and pure spectacle. 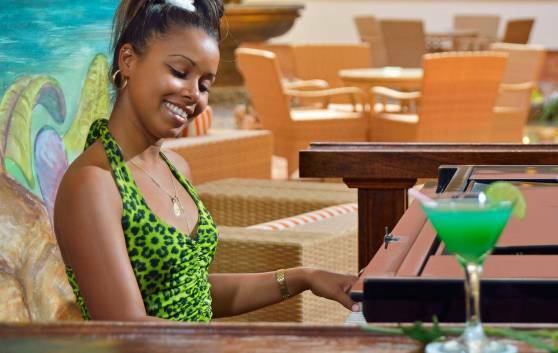 Enjoy the magic of the Varadero nights in our welcoming Piano Bar. Accessed from the hotel lobby, spend your evenings in the company of live performances and our extensive list of Premium drinks. 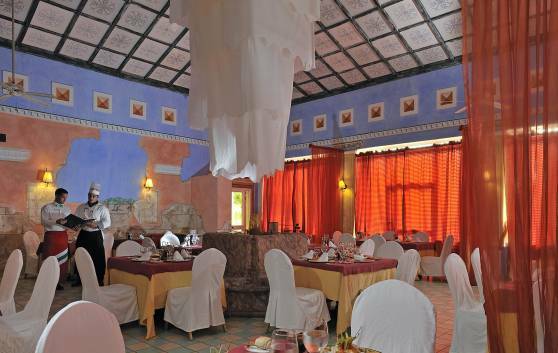 An ideal venue for romance and intimacy, and socialising with your family and loved ones. 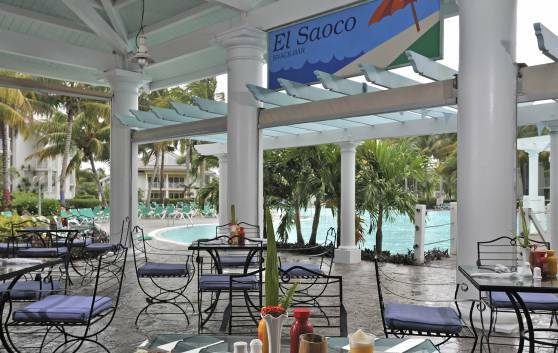 Cozy snack bar located next to the central adult swimming pool. 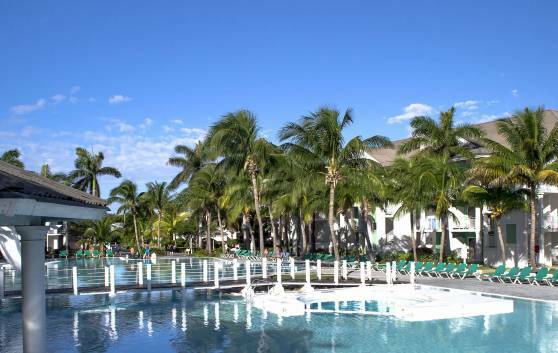 Clients can savor their favorite cocktail as they bask in the sun, swim or simply enjoy themselves around the pool with their couple or friends. And for those who prefer to have fun till the wee morning hours, nightly snack bar service is also available. 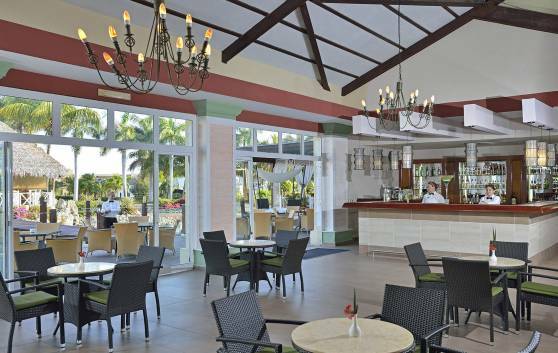 Snack bar located in the hotel’s children’s area serving soft drinks to kids and their parents.